My go to easy & mindless beets recipe. Keep in mind that this takes 45minutes to cook, so do this first and throw it in the oven. 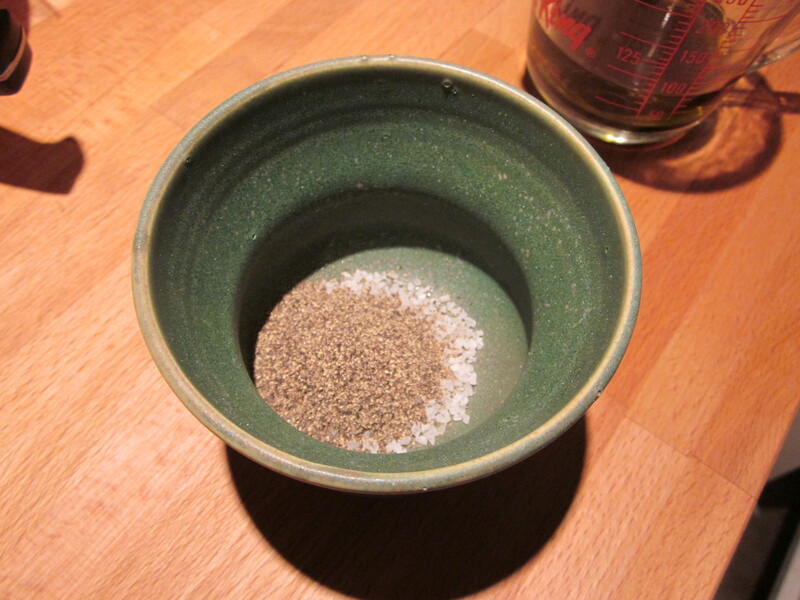 By the time it is done, the rest of dinner will be too! 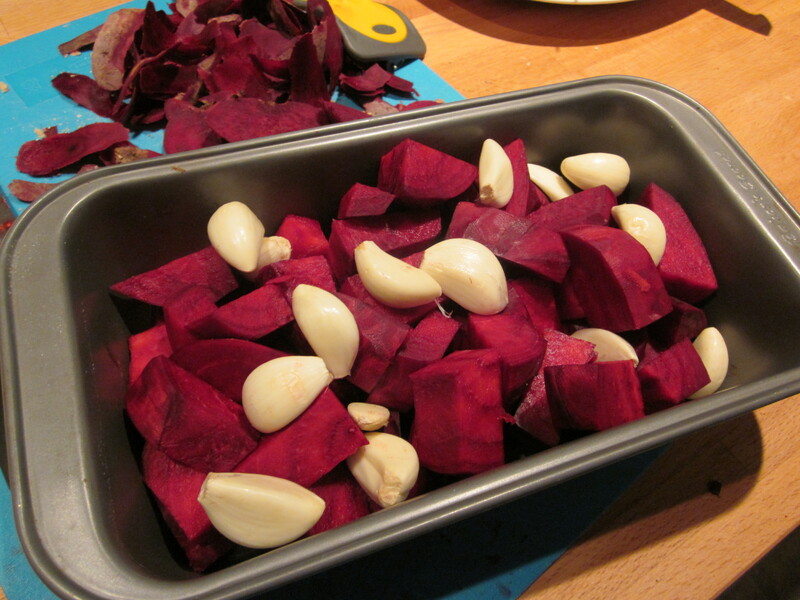 Peel & cut beets into 2″ x 1″ rectangles and put in pan. I use a loaf pan because thats what I have. Next add salt and pepper balsamic vinegar and olive oil to pan. 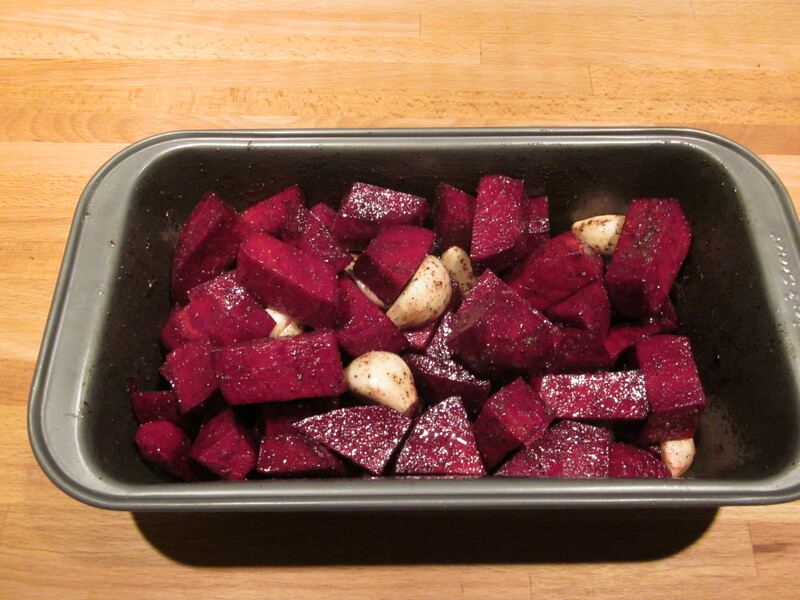 Mix to thoroughly coat beets and then roast in the oven for approximately 45 minutes. Shake beets 1x to ensure even roasting. Let stand 5-10 minutes before serving.